The De La Salle Brothers started their work in Papua New Guinea in 1946. The Lasallians have a proud record in teacher education in the country, having opened a number of teacher training colleges and primary and secondary schools. 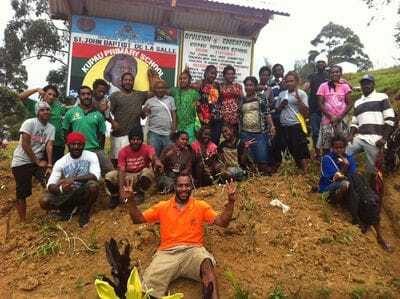 Papua New Guinea is one of the most socially and economically disadvantaged countries in the Asia-Pacific region, with a third of children aged under the age of five classified as malnourished. The country also struggles with high levels of unemployment and illiteracy. 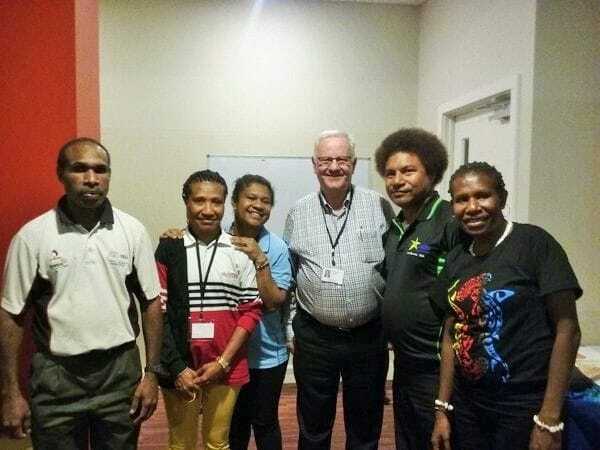 Through their contribution to PNG's education system, the De La Salle Brothers are providing students with education, stability, spiritual role models and a positive vision for the future. The Brothers are a teaching congregation and in joining, the candidate needs to know he has the capacity to be a teacher and because of his experience as a teacher, he knows that he likes teaching. Normally, the Brothers teach for twenty to thirty years or more and it is important that the candidate needs to know that he finds teaching to be a fulfilling vocation. As a result, after many years following various policies regarding the requirements needed to be a Brother, the Brothers have decided that the candidate needs to be a trained and experienced primary or secondary teacher. The requirements desired for a young Catholic man to join the Brothers include average or above average intelligence, good health, and the necessary maturity to live the life of a consecrated religious in community. A psychological and emotionally balanced approach, interior life and expression are also necessary. The candidate will be happy in the Brothers if he has even before requesting to join, a prayer life that includes mass and the sacraments and is active in his parish. He also needs to be happy in living in a community where prayer, fraternity and work are considered to be a great value and are insisted upon. The Brothers pray, work and live together to ensure that the mission of Catholic education is sustained and is successful. They are Brothers of the Catholic Church. Upon joining the Brothers' formation program, the candidate will begin as a postulant. During this time of approximately twelve to eighteen months, he will be engaged in living in community with the Brothers and be involved in learning about the Brothers' past, their vision and their involvement in the mission of Christian education. The postulancy is the first stage of what is referred as the initial formation. The aim of this is to help the postulant to follow the Christ of the gospel. Through a process, he is progressively introduced to the spirit of the Institute, which is the spirit of faith and zeal for the reign of God. During this time the postulant is helped to continue in being a mature person, develop his affective life, enrich his faith and experience of God, and discover if God is calling him to be a brother of Jesus as a Brother of the Christian Schools. Some of the values which are promoted during this stage of initial formation and all stages of formation are responsibility, ability to study, reflect, research, manage time appropriately, openness and trust, community mindedness, sense of the presence of God, docility and the capacity for self knowledge, transcendence, detachment and initiative, inter-tribal sensitivity. The self- acceptance of the gift of sexuality and knowing its proper expression are important values for the Brothers. Because the Brothers are called to be brothers of Jesus, brothers to those our students and to those with whom they live and work, the candidate must have the capacity for relationships. He must value friendship and is open to share his life experiences. In so doing, the postulant will need to respect the opinions of others and give voice to his own in a way that is life giving. If the postulant is accepted to the next stage of initial formation, he will proceed to join other postulants in the novitiate for one year. Here he will have an opportunity to grow closer to God in Jesus, to deepen what has been experienced in the postulancy and to appreciate even more the importance and value of a personal relationship with Jesus Christ, doctrine and scripture, the sacramental life, the teachings of Jesus, a moral life, contemporary Church issues, social justice, the life and spirituality of the Founder, St. John Baptist De La Salle and the spirituality of the Brothers, and religious life and the vows. 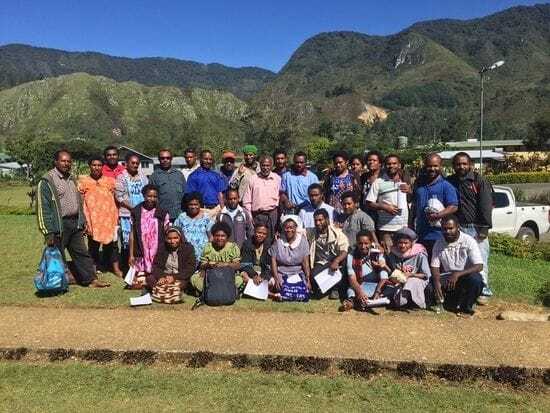 At the conclusion of the novitiate the novice will return to Papua New Guinea to complete this stage of formation by pronouncing his vows of association with the Brothers for the educational service of the poor, chastity, poverty, obedience and stability for a period of one year. Because the candidate is an experienced teacher, he will be invited to complete further academic studies once his initial religious formation is completed. This normally will take the form of part-time study while teaching. As a professed religious, an expression of his new identity is to freely and lovingly accept an obedience from the Brothers to go and teach in the name of Jesus in a school and to live in community with the Brothers. After a suitable time during which the Brother and the Brothers together discern that the Brother is being called to be a Brother for life, the Brother can request to join the Brothers for life. Director of Formation for Papua New Guinea is Br Rory Higgins.